Mobile apps are the latest trends for the business’. There is no any business in which mobile apps are not involving. All business are changing there trends and moving faster with the latest technology. This will led to grow their business and the customer base rapidly. Getting most out of mobile apps for the business is the awesome user experience and growing business strategy. Because as the customer base grows then business will grow exponentially. Mobile app for the business plays a vital role in business development and growth. 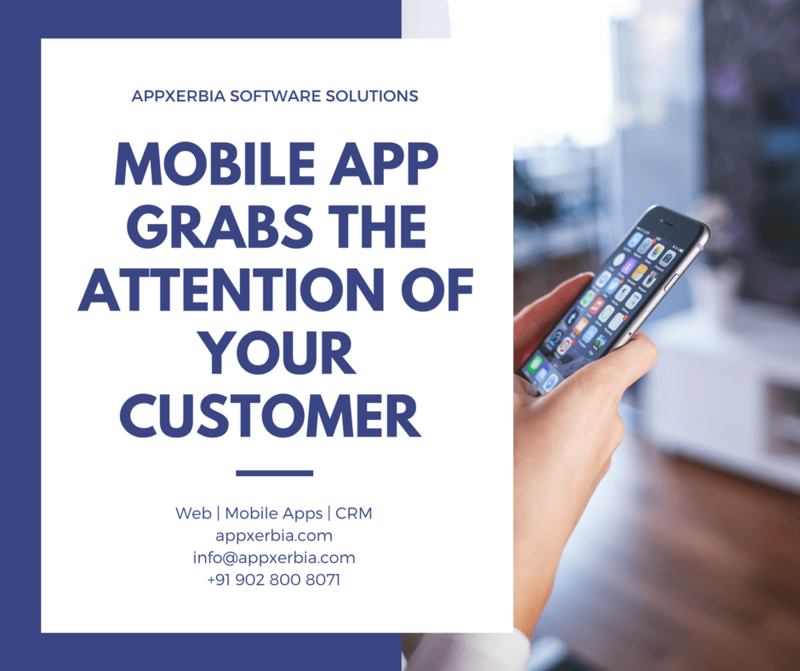 With the help of mobile app your business can always stay connected with your customer. Mobile app for your business provides more value to your customer. You can send personal as well as promotional notification at any time to your customer. You can gain loyalty of your customer. Customer can directly contact with you and with the help of great responsive messaging facility you can answer their queries immediately. Through the mobile app you can provide all the information to your customers – including special sales and promotions. It is at their fingertips. Through push notifications you’re getting even closer to a direct interaction, and can easily remind customers about your products and services. A mobile app for your business can greatly contribute to your brand awareness. You can build mobile app specific to particular business type and targeting your customer. With latest design trends you can build strong brand for your customer. Mobile app for the business will create competitive advantage for your industry. This is increase your customer base and help to grow in your industry. Always stay ahead in the industry. Targeting audience for your business will help you to create more sophisticated and superior mobile app and with that app you can provide more value to your customer which will led to give more superior user experience. Your business can do online marketing through your mobile app and engage customer with your business. With mobile app you can send notification, special offers, award-reward programs, discount offers and much more. Mobile app can capture specific nature of customer for buying products or services. We can use this analytics to improve our existing services and products more profitable. Mobile app revenue can grow very exponentially. Business’ can go for sponsorship, reward programs and advertisement to boost revenue in mobile app. If the businesses are in pocket of their customer they will always grow.